Echosmith just performed current single "Let's Love" on CBS' The Late Late Show with James Corden last night! Watch the gorgeous performance, complete with glowing orbs and disco balls. The LA-based siblings have had a truly action-packed past year. Their success from 2014's platinum "Cool Kids" as well as follow-up Gold smash "Bright" has propelled them onto larger international stages and even led Jimmy Fallon to dub them "one of the biggest breakout acts of 2015." They have played to crowds of thousands at festivals like Governors Ball, the U.K.'s Reading and Leeds, and most recently Austin City Limits, sold out tours across the U.S. and Europe, performed everywhere from The Today Show and Late Night with Seth Meyers to the American Idol finale, and they even joined Taylor Swift twice as special guests on her 1989 Tour to perform "Cool Kids." 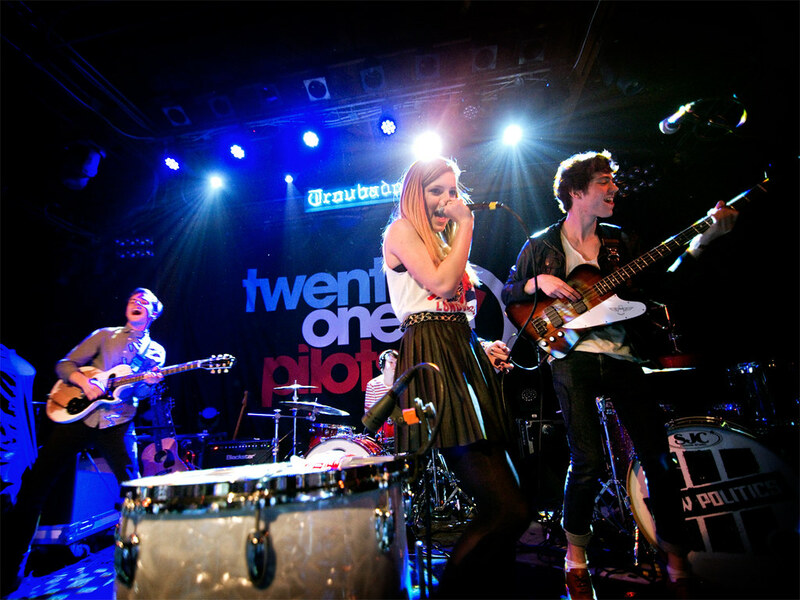 You can catch Echosmith on the road through the end of the month as part of Twenty One Pilots' sold out Blurryface World Tour, including tonight at the Greek Theatre in Los Angeles.